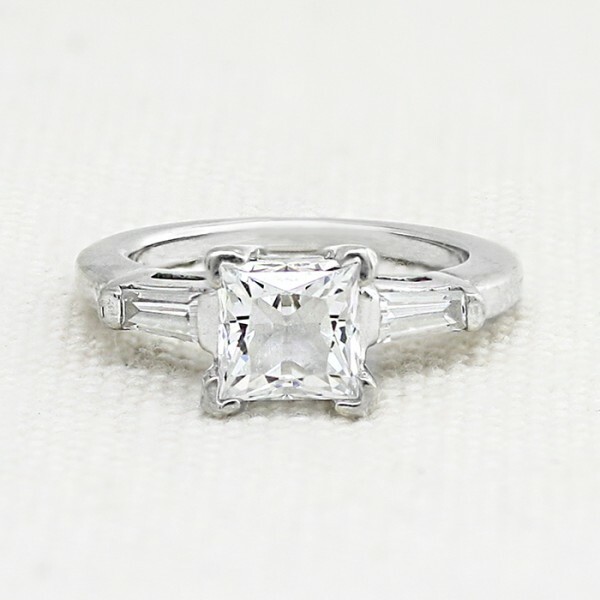 Endless Days with 1.39 carat Princess Center - 14k White Gold - Ring Size 4.75-6.75 was added to your cart. The clean lines and simple grace of this ring recall the sophisticated glamour of old Hollywood. The Princess cut Contemporary Nexus Diamond sparkles brilliantly between two baguette accent stones, while the unique profile brings to mind the gorgeous lines of Art Deco architecture and makes fingers look longer.